Let's face it. Writing is hard work. Actually, I tell my students that writing crap is easy. Writing well is brutally hard. With all the revising and critique and rejection, we have to carve out some fun during the process. I was reminded of the importance of letting go and saying "yes" to joy on my recent trip to Tulsa. The trip was supposed to be filled with research, and it was. However, the museums and cultural centers were closed in the evenings. What wasn't closed on Thursday night was one of those paint and sip places. You know, the kind of spot where a room full of non-artists all work with the same model painting... while they drink wine. My friend and I didn't want to go back to our hotel room and do nothing, and it was too early for dinner, so she and I decided to become artists for a couple of hours. It's historical fiction. It focuses on a massacre. In the very beginning of my work, I had on rose-colored glasses. The family would do what they needed to do in order to survive. The community would be decimated, but the family would live on... in another city. considered. That simple question changed the whole direction of the story. I had my ending decided a long time ago. The family was going to camp out in a park for a couple of weeks (which is what a lot of people did after this tragedy), and then relocate to another city. However, as I dug a bit deeper, I found a better interim place that will shelter the family--one that will add more complexity to the story. could reconstruct a new one. And just yesterday, another surprise. For more than a year, I've known what happened that made the family leave their home. It made sense. Sort of. made better sense... and it gave me the chance to add more tension to my story. To grow with the characters... to experience the story as the characters dictate the story's direction... From my perspective, that is fun. How about you? What has recently surprised you while writing? What do you consider the biggest source of joy as a writer? The give-away? Oh, I almost forgot. Since Margo Dill recently edited my WIP's most recent draft, and since it's her fault it's becoming a new and improved version, I'm going to give away a copy of her YA novel, Caught Between Two Curses. Leave a comment, and two weeks after this post (9/20), I'll draw a name. Sioux Roslawski considers the exhilaration of writing addicting. Currently, she's working on a manuscript and keeping her fingers crossed that when it's finished and polished up, there will be at least one publisher interested in it. If you'd like to read more of her musings, head to her blog. Siox, I think your painting looks fantastic! 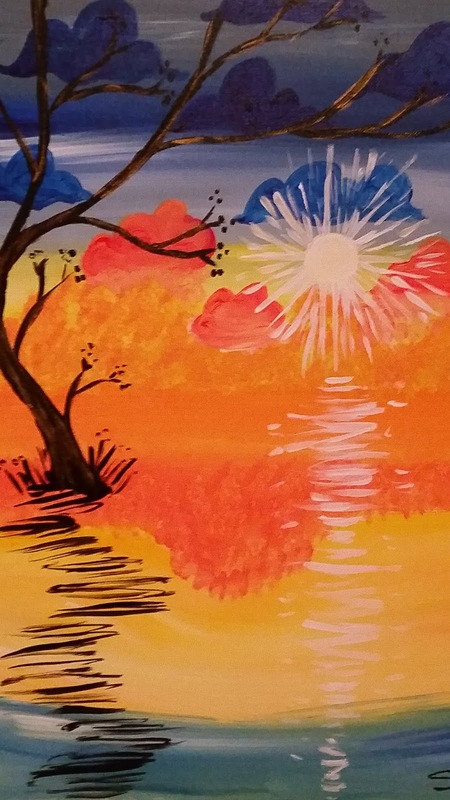 I have had exactly one experience at a paint and sip place. My painting was so bad a group of women at the next table actually made fun of it to my face. At least the women I was with had the courtesy of politely patting me on the back! 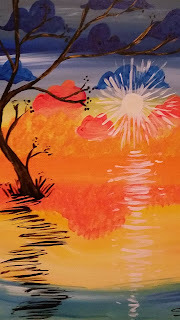 I remember going home and grumbling to myself, "this is why I write, not paint!" I'm glad you had fun on your trip, and that you've been having some epiphanies on your manuscript in the past few months. Sometimes we need to let things marinate for awhile before they become clear to us. Middle grade fiction has become much more raw and gritty in recent years, so go with the grit that family had to have experienced after the massacre! You have the opportunity to bring in some really despicable characters as obstacles. Good luck! 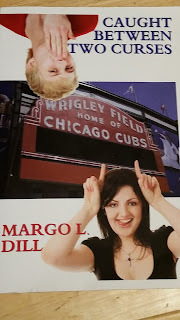 And since I've read "Caught Between Two Curses" already, I won't enter the giveaway, but I will let everyone know it is a very FUN book, even if you are not a baseball fan! Thanks, Sioux, for the shout-out. :) I am interested to read all these changes you are incorporating! It's probably exciting and scary all at the same time. My characters are always doing stuff I didn't predict--that's the beauty of not being a planner. Renee--Oh, some of the people were looking at my "flying piles of blue poop" painting and I'm sure they were making snide comments, too. I totally agree with you. I am not a baseball fan, but I still enjoyed Margo's book. I, too, have a bad painting story, and let's just say that the paper weighed about six pounds because of all the layers of paint I had to use to keep covering my mistakes! It still didn't look good. I think your picture looks great, by the way, and you don't have to admit to editing! 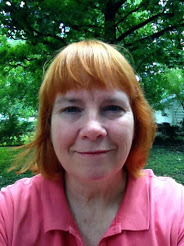 I also love they way your WIP is changing because of connections and new information, that keeps the writing interesting, thanks for sharing your process. And I, too, have read Margo's great book, so don't need to be put in the drawing.